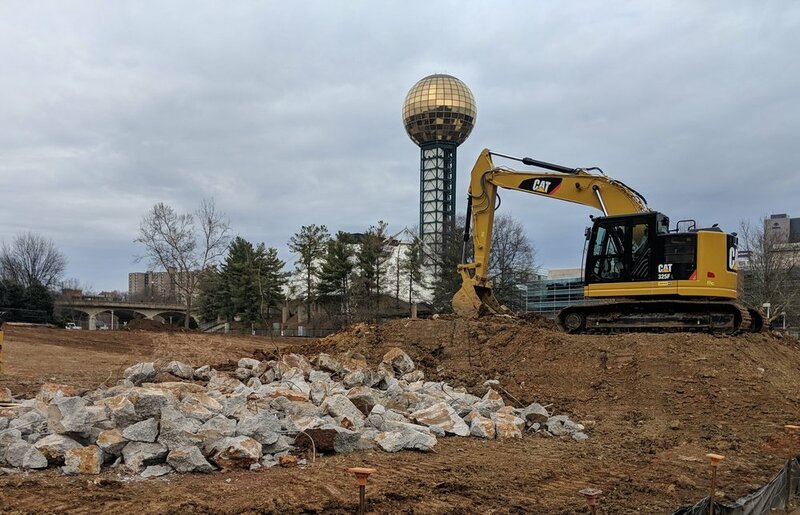 This project is currently on schedule with the Performance Lawn set to reopen for the City of Knoxville’s Festival on the Fourth. 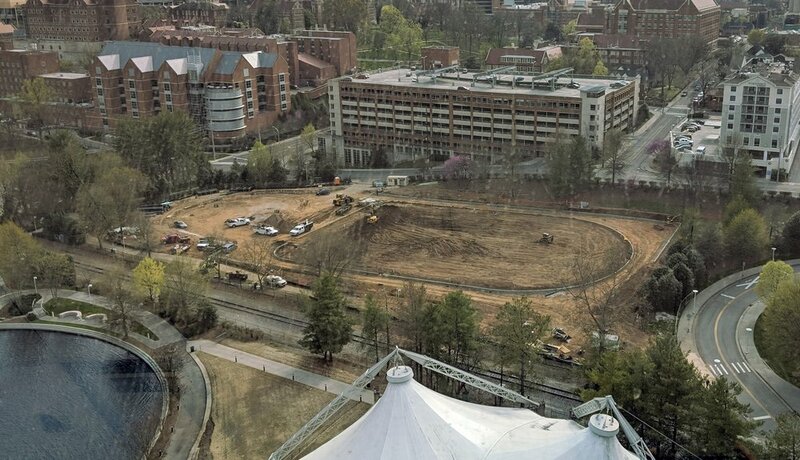 The photos below are taken from the Sunsphere and show the project’s progress (top) and throughout the construction process (bottom). 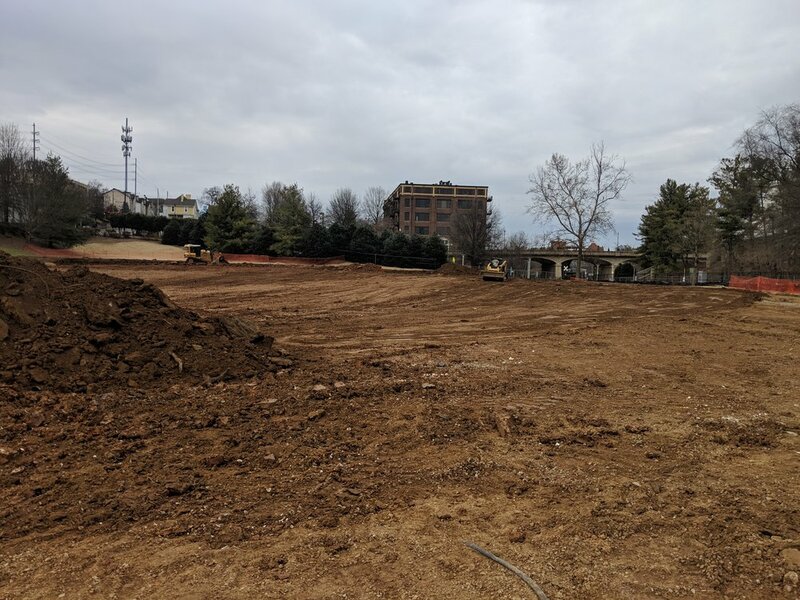 March 7, 2019 - Lawn underdrains complete. Irrigation and electrical rough-in underway. Topsoil deliveries in process. Hardscape curbs being formed. 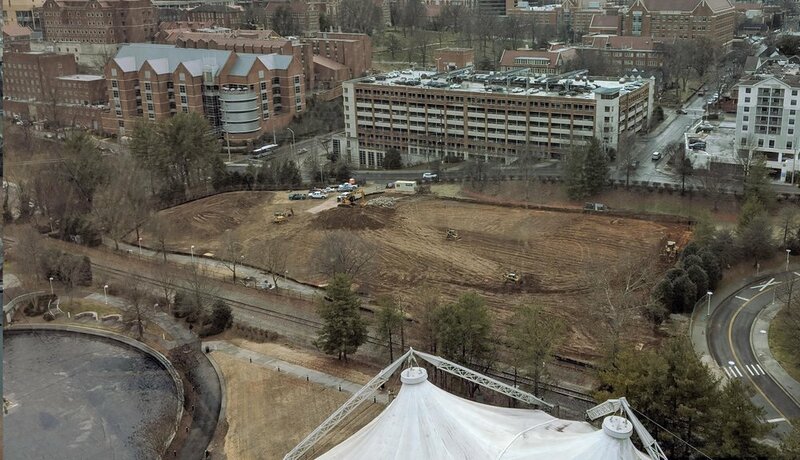 Demolition of a portion of the greenway sidewalk in preparation for the grade work. 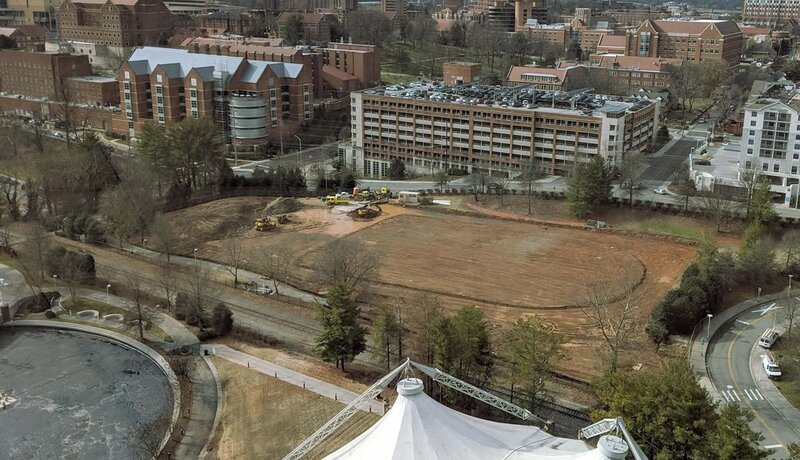 Concrete foundations from former site structures are removed. Rough grading preps the site for irrigation and drainage installation. New gravel is stockpiled adjacent to gravel salvaged from the site during demolition. 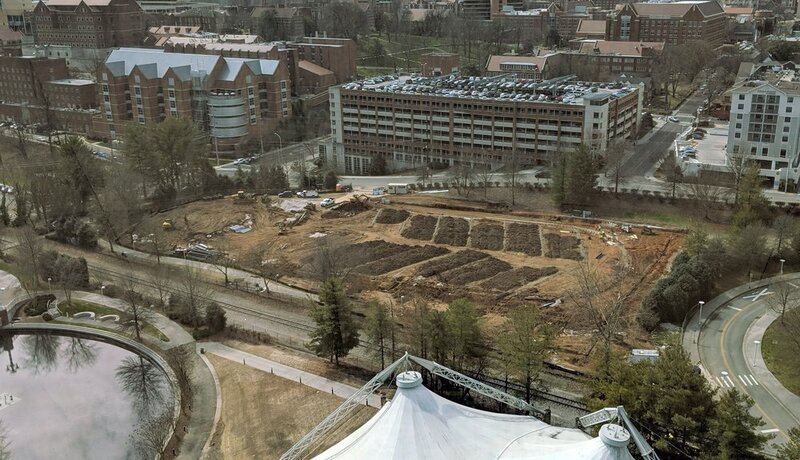 These stockpiles will be used around the lawn's under-drain system. 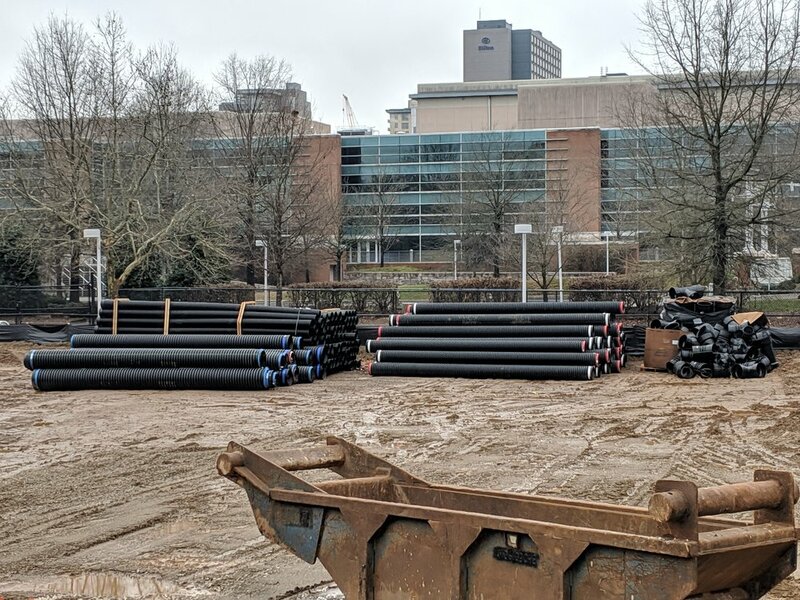 Two truckloads of drainage pipe for the lawn's sub-surface drainage system have been delivered. A concrete border for the lawn hardscape is formed up. 75% of the interior concrete border for the permeable paver system is complete.